China is home to 8 of the busiest ports in the world and if you include Hong Kong and Taiwan, that number rises to 10. 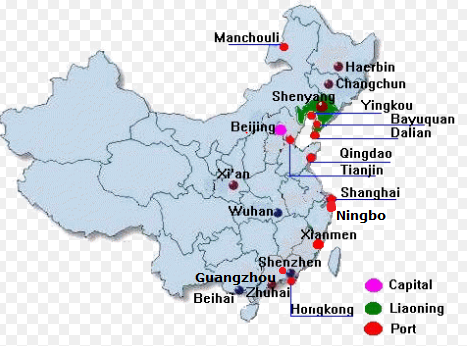 Below are the busiest seaports in China’s east coast from Shenzhen in the south and Dailan in the north. Port of Shanghai. Includes: Yangshan Deep Water Port & Waigaoqiao Shipping Terminals. In 2010, Port of Shanghai overtook Port of Singapore to become the world's busiest container port, with a new world record of 40 million TEU’s (twenty-foot equivalent) handled in 2017. It is located close to many factories from neighboring provinces Zhejiang and Jiangsu. Port of Shenzhen. Includes: Yantian Port, Chiwan Port, Dachan Bay Port, and Shekou Port. The name "Port of Shenzhen" is a collective term for the multitude of ports located in Shenzhen City, Guangdong This area is increasingly renowned for the success of its high-tech zones and new industry. Around 560 ships call at Shenzhen Port monthly, covering over 130 international container routes. Port of Ningbo. 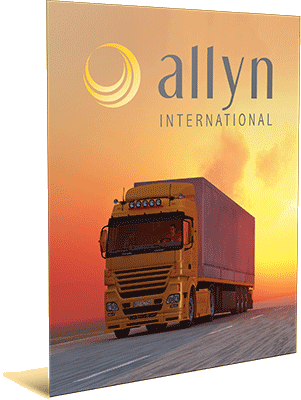 Includes: Beilun Port & Zhenhai Port. Since the merge of Ningbo and Zhuoshan ports in 2006, Port of Ningbo is officially called the Port of Ningbo-Zhoushan. Port of Ningbo is located in the Zhejiang province, approximately 150km south of Shanghai. Port of Qingdao. You may have heard the well-known beer “TSINGTAO,” Port of Qingdao is famous as an international transshipment and reefer specialty port. It’s located in the Yellow River basin in eastern China’s Shandong Province. Port of Guangzhou. Includes: Nansha Terminal, Xinsha Port Area, Huangpu Port Area, Downtown Port Area. Located approximately 150km northwest of Hong Kong, Guangzhou is the only place which isn't considered to be a coastal city. Given its location, cargo going in and out of nearby provinces such as Yunnan, Sichuan, Jiangxi, Guizhou, and Guangxi also go through the Port of Guangzhou. Port of Tianjin. Located just 150km southeast of Beijing, this is the largest port in northern China, serving 11 northern provinces as well as Mongolia. The Port of Tianjin made international headlines in 2015 when a series of huge explosions triggered by poor chemical storage measures caused widespread damage and loss of life. Port of Dalian. Located at the mouth of Bohai Bay, the Port of Dalian is a deep water port in China’s northeastern Liaoning province and the biggest port in northeastern China. It is also China's most northerly ice-free port. Port of Xiamen. Located in Fujian province, the beautiful city of Xiamen is a major port which handles a lot of the trade between Mainland China and nearby Taiwan. Visitors to Xiamen's famous Gulangyu island can take a ferry around the island which passes by many ports and huge container ships.